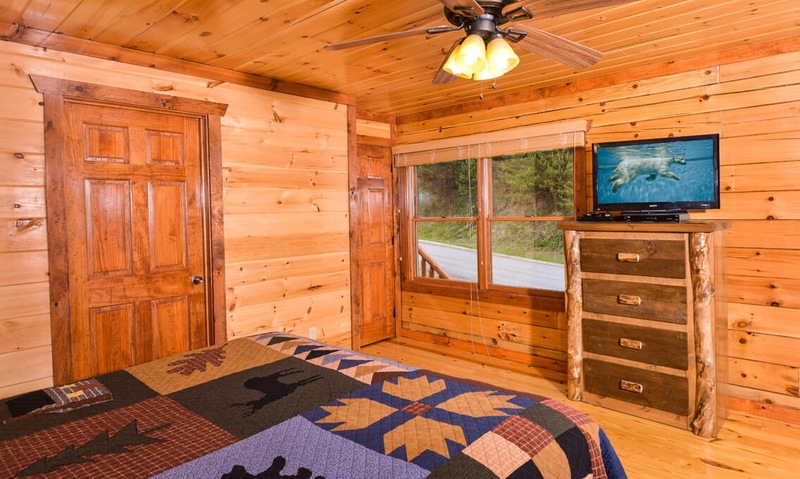 Invite the entire family to join you on your Smoky Mountain vacation when you stay at the Big Bear Plunge! 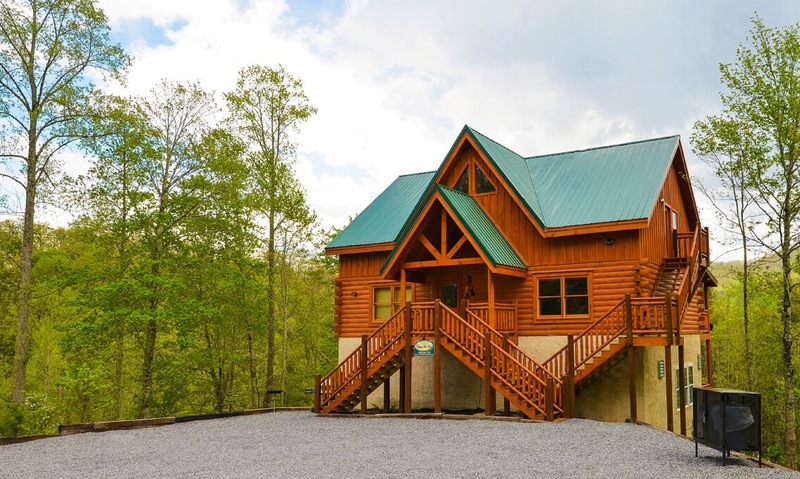 This large property comfortably sleeps 12 and is conveniently located close to downtown Pigeon Forge. 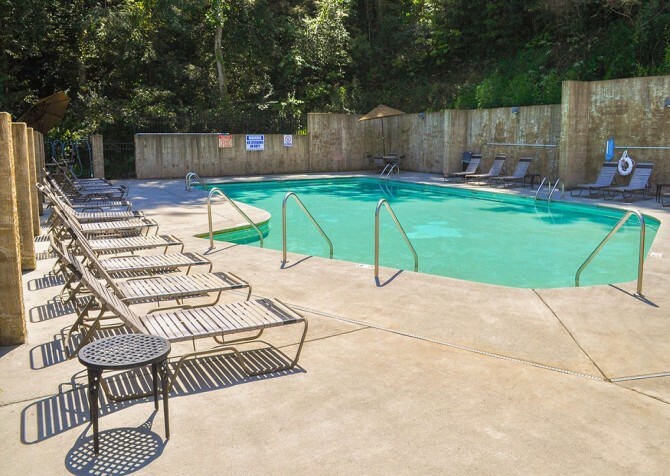 With an indoor swimming pool, pool table, and home theater, Big Bear Plunge offers plenty of fun, family-friendly entertainment, providing your group with Smoky Mountain memories they will cherish for a lifetime! 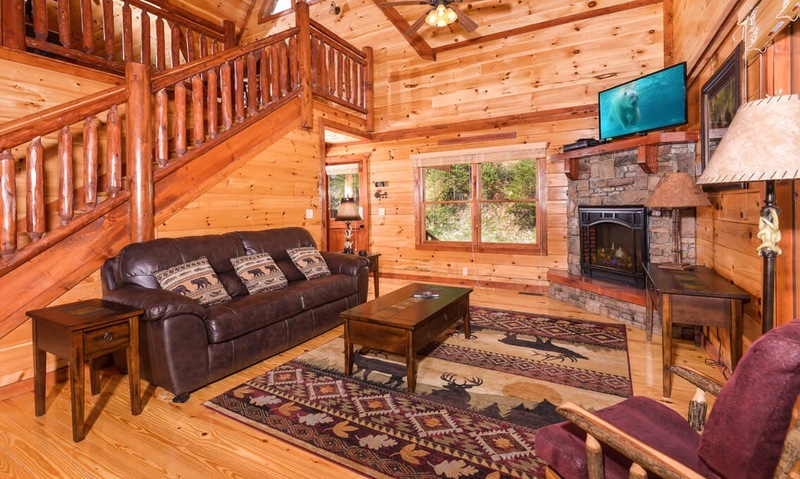 When you arrive at the Big Bear Plunge, you’ll be wowed by the astounding view that can be seen from every angle of the cabin. And when you peer behind the tree-lined hills, you’ll see the blue outline of the Great Smoky Mountains peeking out. 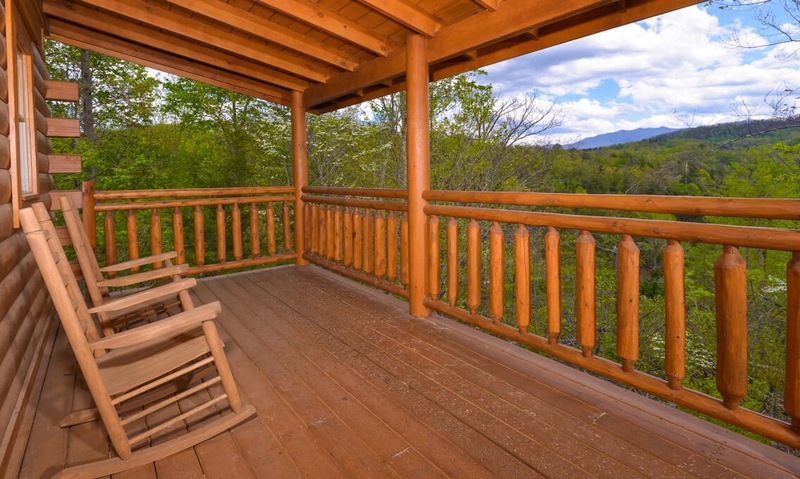 The back porch of the cabin, complete with rocking chairs, opens to this view, making your morning cup of coffee on the porch a daily delight you won’t want to miss! The stairs leading into the cabin open to the large family room in the center. 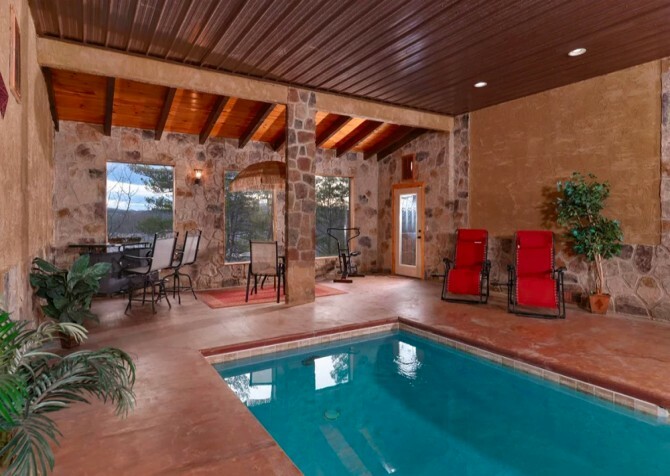 You’ll be impressed by the three wall-to-floor windows, which let tons of natural light into this space, and by the gorgeous stone fireplace, which stands as the centerpiece. A comfortable sitting area flows right in to the sleek, modern kitchen of the Big Bear Plunge. 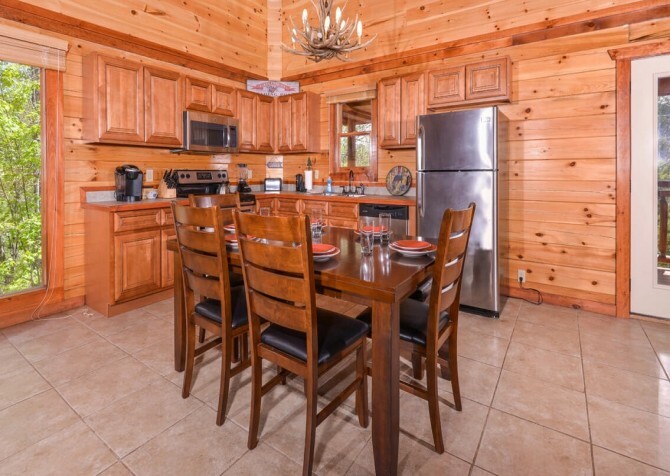 You’ll have a Keurig for your morning cup of Joe or hot chocolate in the evenings. 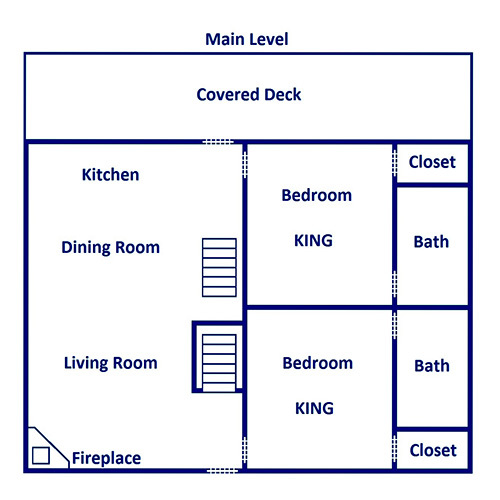 You’ll have a large refrigerator where you can store leftovers or food for the week if you choose to eat-in. 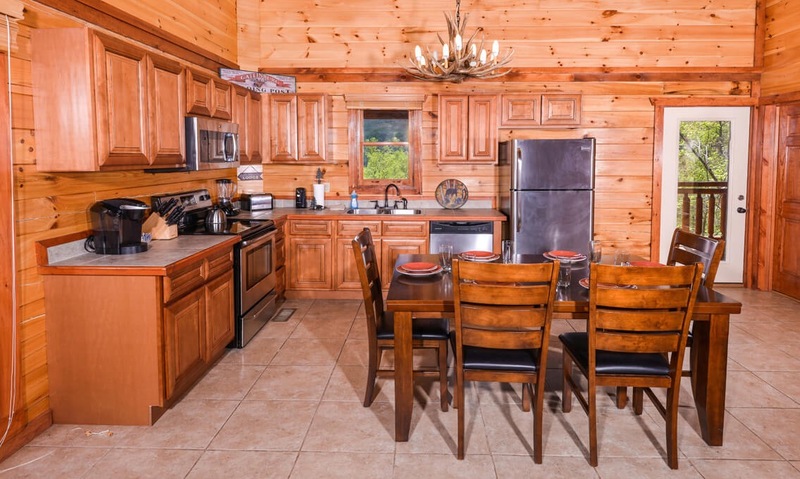 A stove, microwave, and dishwasher are also available to you, making the Big Bear Plunge your home away from home in the Smokies. 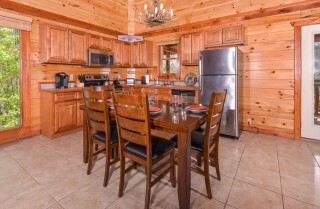 The natural-lit kitchen is also furnished with a large dining table that can easily fit 6. Off from the kitchen, French doors provide easy access to one of three porches at the Big Bear Plunge—each providing you with a one-of-a-kind view of the Smoky Mountains! 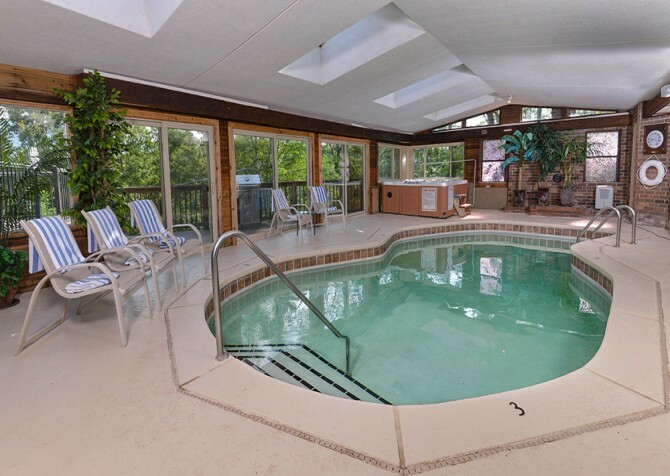 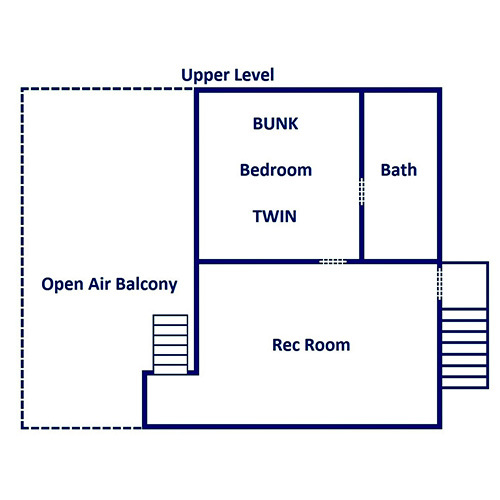 When you’re ready to have some fun at the Big Bear Plunge cabin rental, be sure to jump into your very own indoor swimming pool (10x18, 31/2 - 5 1/2 feet deep, 85 degrees)! 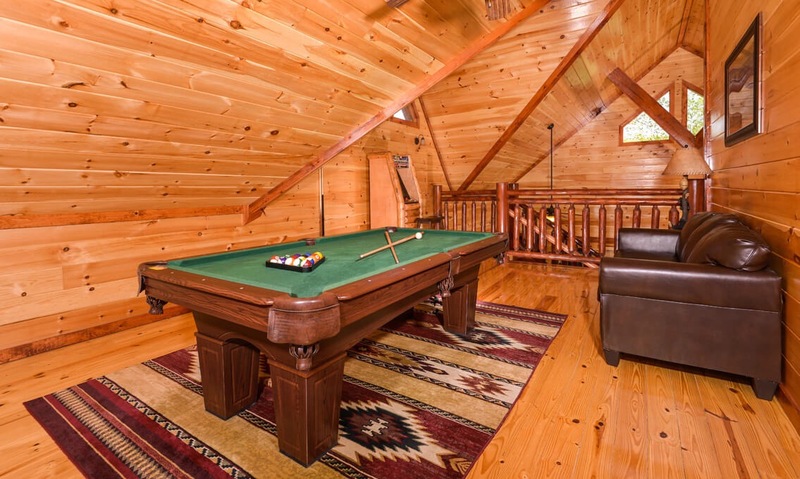 No dodging the crowd or waiting to play in this private pool, and when you’re ready to dry off, the Big Bear Plunge offers another kind of pool experience with your very own billiards table upstairs! 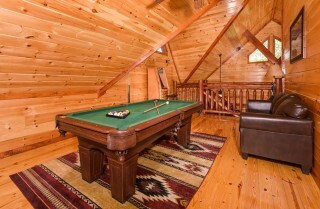 Play a round of 8-ball with the family, or try your hand at the built-in arcade game adjacent to the pool table. 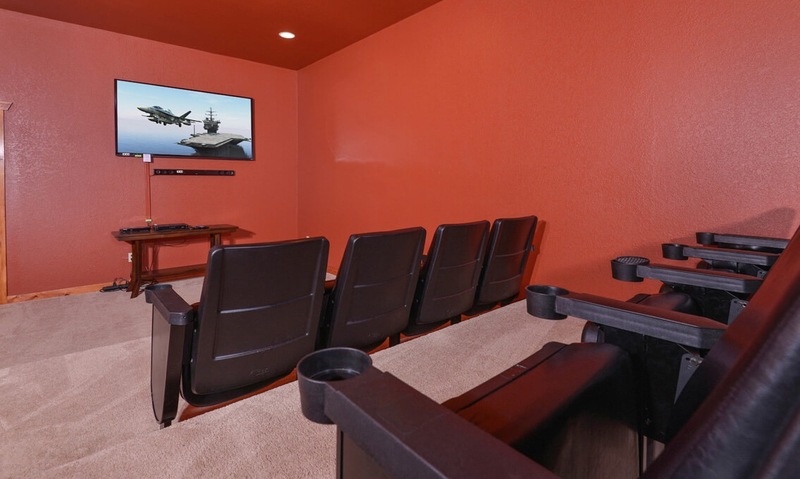 If that’s not enough, the Big Bear Plunge also comes with your very own home theater system! With theater chairs to accommodate 8 guests, you can watch your favorite DVD in style! 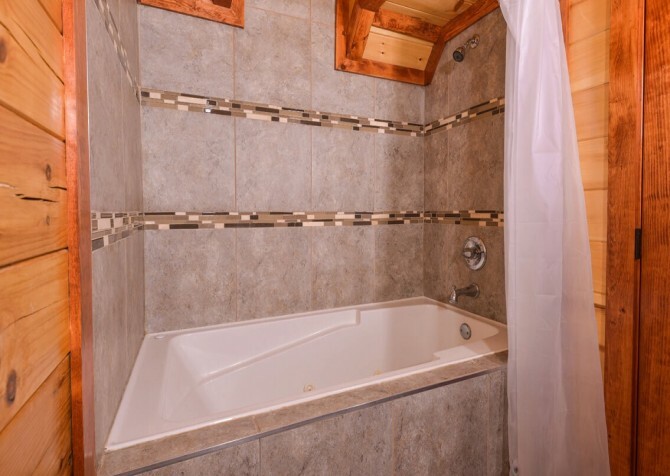 Other amenities you’ll find at this amazing property include an outdoor hot tub, an air-hockey table, and in-cabin, high-speed Internet. 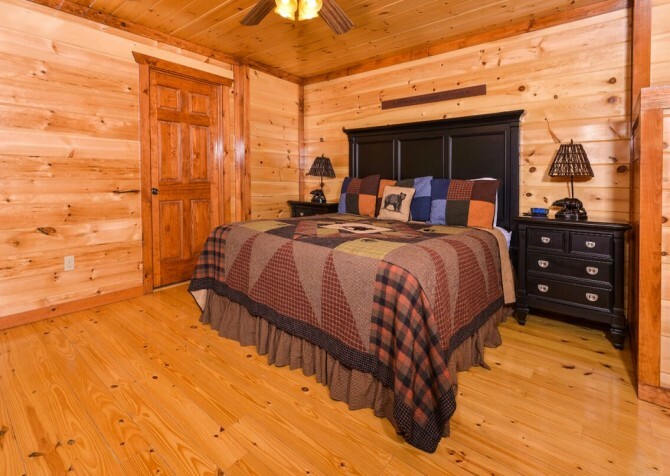 With all this play, you and your family are going to be ready for a good night’s sleep, so you’re going to love the property’s three oversized bedrooms. Two bedrooms are fully-equipped with comfortable king-size beds, en suites, and flat-screen TVs. 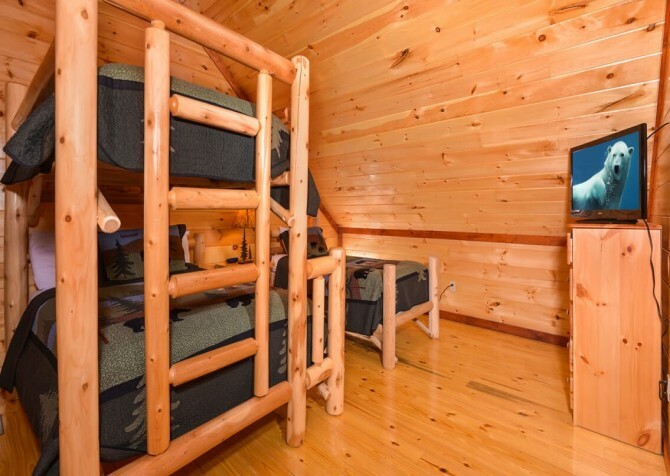 The third bedroom contains bunk beds as well as a single bed, allowing your group to comfortably accommodate all your guests. These guests have their own three-piece bathroom as well, easily accessed in the hallway. When you stay at Big Bear Plunge, you’ll be excited to know that fun-filled downtown Pigeon Forge is just minutes from your back door. Take your family to the award-winning Dollywood theme park, or take a trip back in time at the Titanic Museum. 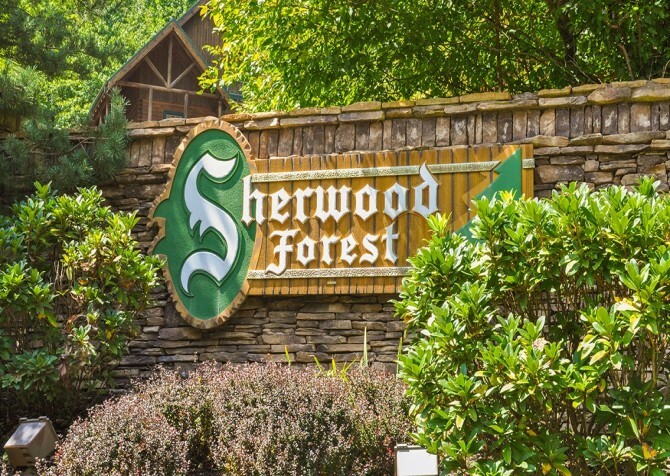 Exciting attractions like Dolly Parton's Stampede and the Lumberjack Feud along with shopping centers and theaters are also close by, so no need to worry what your family will do when they get to town! 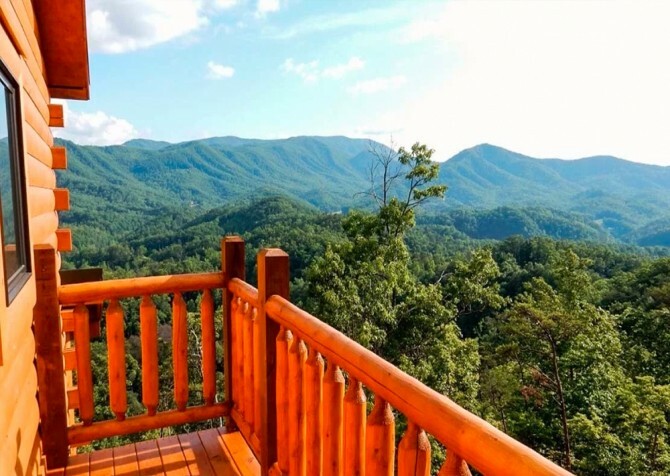 And for those who love to get outdoors, Pigeon Forge is right around the corner from the Great Smoky Mountains National Park, where you can enjoy daytime hikes, family picnics, and horseback riding during your stay. 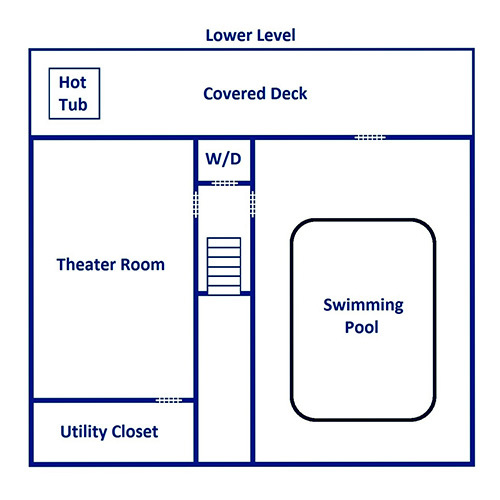 With the ideal location of the Big Bear Plunge, you’re guaranteed to find something for everyone in your family to enjoy. 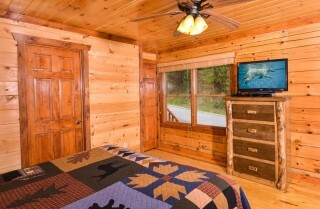 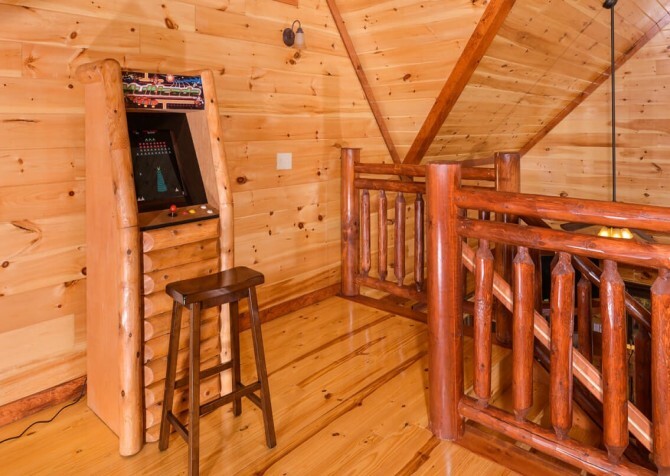 You’re not going to find a better equipped cabin in the Smokies for your family’s getaway than the Big Bear Plunge. 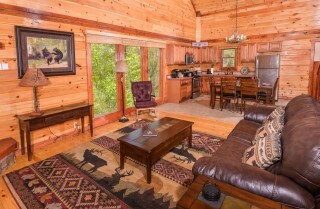 With everything you need from a fully-loaded kitchen to an indoor private pool, this cabin is the right choice for you. 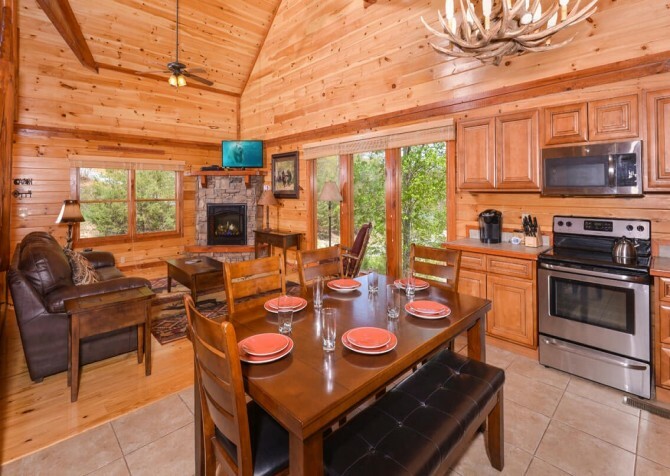 For help booking this cabin—and for any other questions you might have—please call our reservation specialists at 1-800-684-7865. 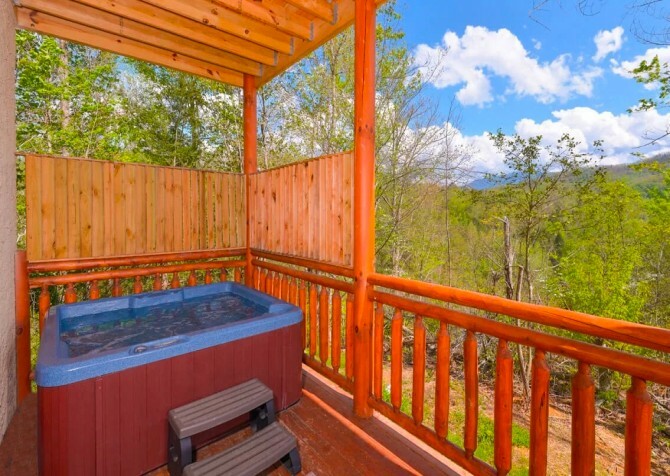 They are ready and waiting to help you make the Big Bear Plunge part of your Smoky Mountain vacation this year! 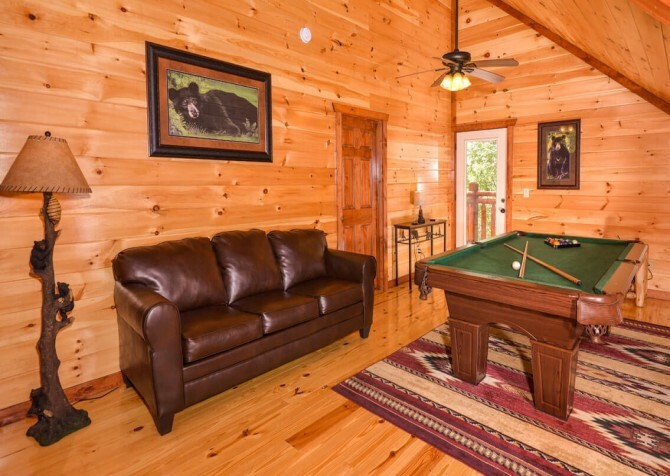 "We absolutely loved the cabin. Nicer than anything we’ve ever stayed in. The kids enjoyed the pool and the theater. 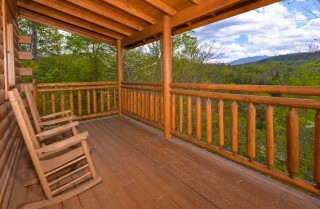 My husband and I enjoyed morning coffee on the back deck with the beautiful mountain view. A great way to end our vacation." 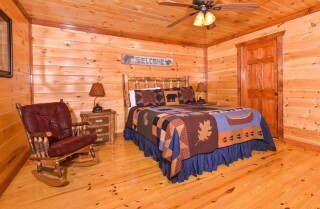 "We recently booked with Cabins for You at Pigeon Forge. 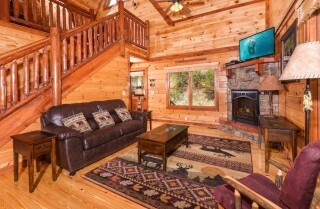 Our cabin was Big Bear Plunge. 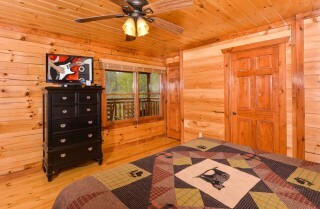 The cabin was beautiful. The view was breathtaking. We did not do any food preparation, other than Coffee and toast for breakfast. We did notice that the kitchen was well stocked. This was our first experience with Cabins for You. Every call made to customer reps were immediately answered by courteous, efficient people. These were calls prior to arrivals about billing and amenities. 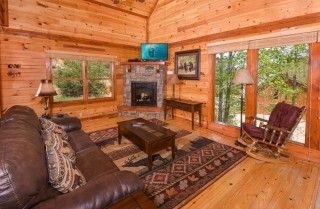 Upon arrival the key code would not work, but we were given another code and immediately accessed our cabin. 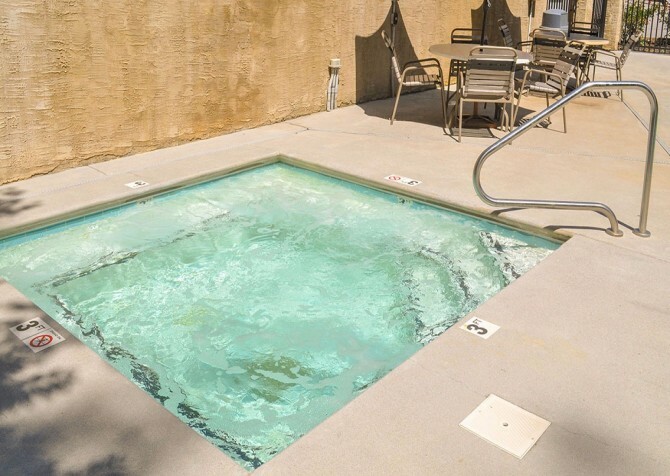 Our stay was relaxing and we had no complaints."